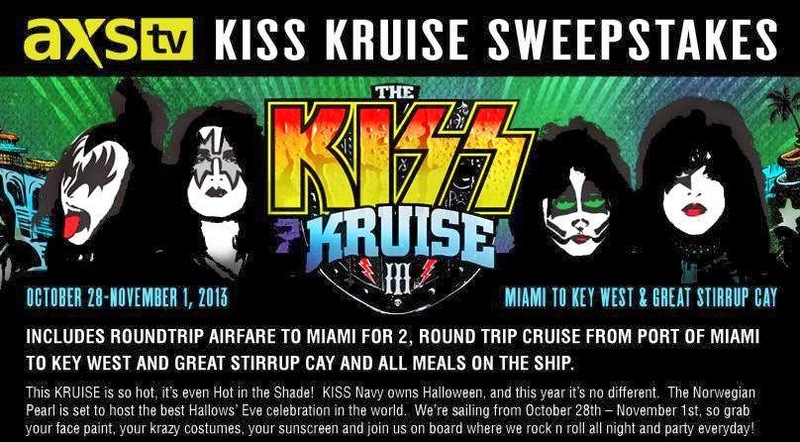 KRUISE WITH KISS & THE KISS NAVY! Win a spot on the The KISS Kruise! AXS TV and KISS are giving you the opportunity of a lifetime! Join the band and thousands of other fans on a cruise from Key West to the Great Stirrup Cay!